I’m shocked and delighted that my long-running space opera series, The Universe of Xuya, and its latest outing, The Tea Master and the Detective, are finalists for a Hugo Award for Best Series and Best Novella, respectively. I conceived of Xuya as a sandbox where I could tell my stories –of family, and children, and what is passed on between generations, of a galactic empire taking its cues from Confucianism, Daoism and Buddhism as in the stories I grew up with–of people of Vietnamese descent who got to go into space and build their own societies and stories. The universe has been with me for a long time, growing alongside my career. It means a lot to me to see this recognised. My deepest thanks to everyone who nominated it and spread the word. 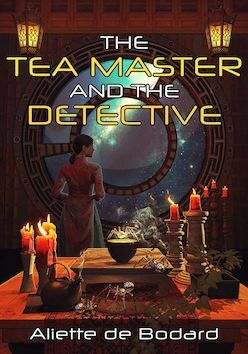 Thanks as well to everyone who made this possible by publishing the stories, and in particular the latest book, The Tea Master and the Detective–many thanks to Yanni Kuznia, Geralyn Lance, and everyone at Subterranean Press for a gorgeous and much successful book–and to John Berlyne, Joshua Bilmes, Lisa Rodgers, Patrick Disshelhorst and everyone at JABberwocky for the non-North American edition. And to my friends and to my fans, for the support that always keeps me going. Also many congratulations to everyone on the ballot as this is a truly awesome list. So here we go again, it’s 2019, which means it’s time for my big end-of-year-ish recommendations post! 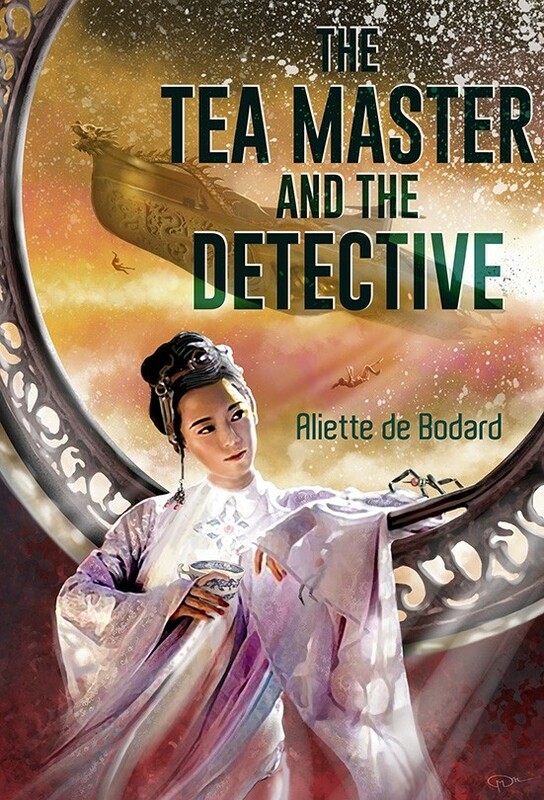 The Tea Master and the Detective is the Sherlock Holmes retelling I always wanted and now I have it. And I want so much more of it. This novella reads like the lovechild of Sherlock Holmes and the Ship Who Sang, dropped into a wormhole inside a space capsule made of Asian history. I need a spaceship who brews tea in my life. It’s set in my Xuya universe but absolutely no prior knowledge of the universe is required. You can read an excerpt here, and get the ebook here (North America) or here (UK and other countries). The US edition is officially out of print at the publisher’s–there are a few copies around already in warehouses, so grab one if you see it! There’s also a brand new non-North EU print edition. (Amazon UK | Amazon DE | Amazon ES | Amazon IT | Amazon FR). Fran Wilde, “Ruby, Singing” is a heartbreaking story of gems, murder, and memory. T Kingfisher, “The Rose MacGregor Drinking and Admiration Society”: a hilarious take on the fairy lovers that skewers several well-known myths. 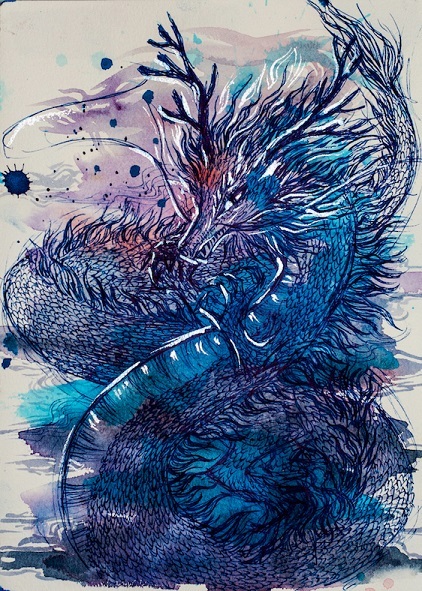 Elizabeth Bear’, “She Still Loves the Dragon”: a powerful and lyrical tale of a woman and a dragon, and fire and love and what it all comes to mean. Iona Sharma’s “Refugees; or a Nine-Item Representation of a Better World” : a gut-punch, evocative tale of people who take in refugees for temporary respite, and the impact it has on them. Ian Muneshwar, “Salt Lines” : a story of a man and a monster, and everything that separates them–and everything that doesn’t. So powerful. Isabel Yap’s “Asphalt, River, Mother, Child”: this one is dark and informed by current events (in the Philippines, specifically), which makes it all the more poignant and urgent. It takes an unflinching look at the police killings and the toll they take–and the prices to be paid, in the end. Vanessa Fogg, “The House of Illusionists”: heartbreaking and harrowing, the story of teachers and their child students in a city under siege, and the power of magic. RSA Garcia’s “The Anchorite Wakes” : a compelling story of religion, and the bond between an anchorite sister and an abused child. Dark and imaginative. Izzy Wassterstein, “Unplaces: An Atlas of Non-existence” is a short and super poignant list of places that do not exist, and how they connect to the life of the narrator, a queer researcher hiding for militias in a supremacist America overrun by Lovecraftian monsters. A.C. Buchanan, “Girls Who Do Not Drown”: a story of a small town and the sea, and a girl’s inner strength. Usman Malik, “Dead Lovers on Each Blade, Hung”: a super creepy story of a missing woman, drug dealers, and snakes. Does exactly what horror is supposed to do: gets under one’s skin and clings there. Stephanie Burgis, Spellswept: an ambitious woman has to save a party held in an underwater ballroom from utter disaster–and to find the man of her heart. Very sweet and with Steph’s usual eye for distinctive and memorable characters. Premee Mohamed’s The Apple-Tree Throne: set in an alternate 19th-Century England, this is the story of a veteran returning from a war and his uneasy relationship with the family of his dead commanding officer–while the ghost of said officer haunts him. Haunting and elegiac, and infused with a strong sense of atmosphere and memorable characters. Tade Thompon’s Rosewater is probably not eligible for anything save the UK awards, as it was already published in the US once–the 2018 Orbit edition marks its first UK publication, though). Even if you’re not nominating, though, you should check it out, because it’s a super original alien invasion story chockfull of ideas and atmosphere. Rebecca Roanhorse’s Trail of Lightning: post-apocalyptic fantasy with magic, a hard-bitten heroine and her new assistant who kill monsters in a world where the Navajo monsters are real and the First Nations reservations have become beacons of civilisation. Sergey and Marina Dyachenko’s Vita Nostra: so I originally read a self-published version of this, and it was already pretty awesome. I’m so glad that this book has got a large editor behind it and the cover and buzz it deserves. It’s dark Harry Potter on steroids, with bonus metaphysics, and it never quite went where I expected it to go. Juliet Kemp’s The Deep and Shining Dark is queer epic fantasy with chewy characters, an intriguing magic system, and the best good chaotic trans magician. Marissa Lingen, “Hard Enough”: on genre definition, hard SF and cliques and so much that I just want to cheer about. Liz Bourke, for her “Sleeps With Monsters” column at Tor.com and her columns in Locus and the work she does in general highlighting women and queer and marginalised folks. Bogi Takács, for eir website “Bogi reads the World”, championing of diverse literature and regular worldbuilding threads. I’m totally biased as she’s a friend, but I think Likhain is still doing stellar work. This year, she did a bunch of really awesome pieces, most notably those two linked prints for In the Vanishers’ Palace: link to the prints here and here. I believe Tasha Suri (mentioned above) is eligible. 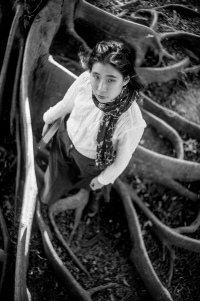 Jeannette Ng is in her second year of eligibility (following the publication of Under the Pendulum Sun by Angry Robot, which is just the kind creepy Gothic fantasy that sticks in the mind, and which you should check out if you haven’t). Rivers Solomon is also in their second year of eligibility. Izzy Wasserstein (see “Unplaces: An Atlas of Non-existence” under short stories) is also eligible. ETA: RSA Garcia (see above “The Anchorite Wakes”) should also be eligible. 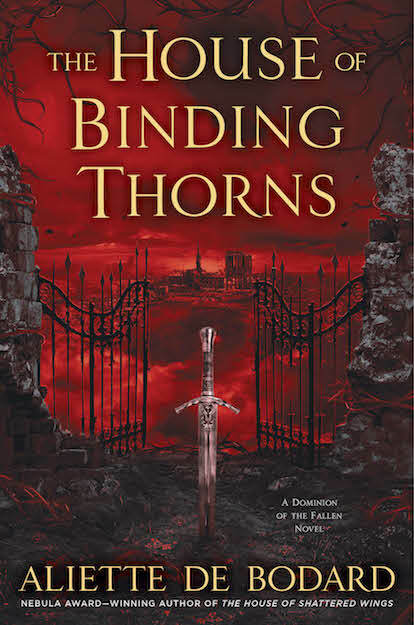 So very pleased to announce that book 3 of Dominion of the Fallen, The House of Sundering Flames, will be published by Gollancz on July 26th 2019. Official information at the The Bookseller. This is basically a book inspired by Rebecca Solnit’s A Paradise Built in Hell, about how the post apocalypse would involve fighting for survival but also extraordinary kindness. Featuring: hawks, explosions, queer families, Vietnamese dragons and murderbirds(*). Focusing on House Harrier in Grenelle (15e arrondissement of Paris), though most of the cast of the prior two books will be making a comeback. (*)not the hawks, but the deadly combination of a deadpan do-gooder bi dragon prince and his husband, best described as lawful evil with ground rules and no scruples. Given a run for their money by the tag-team of an insecure but ruthlessly protective leader and her idealistic partner, entirely resigned to the trouble that follows them around. 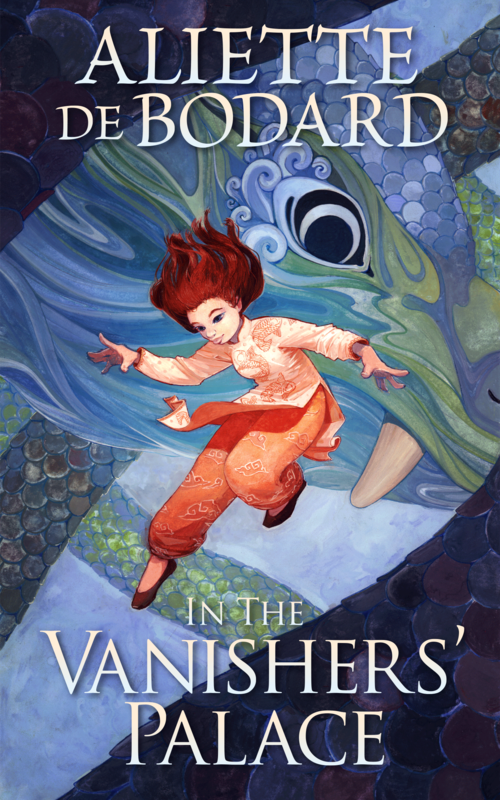 In the Vanishers’ Palace preorder offer! So, hum, I have In the Vanishers’ Palace, a dark sapphic retelling of Beauty and the Beast coming out tomorrow, and I asked Likhain (who’s a fabulous artist) to draw me some art to go with it. Because we all want colourful dragons, right? 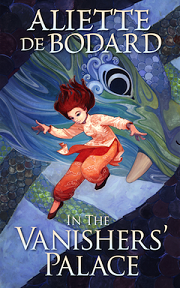 Preorder In the Vanishers’ Palace or buy in the first two weeks of release, and get exclusive Likhain wallpapers, as well as a discount on the (gorgeous) prints from her shop! And here is the art! (offer valid for both ebook and print purchases until 29th October, midnight Pacific Time–sorry for the cutoff date but I’ll be travelling to WFC afterwards and will probably be too jetlagged to answer emails!). If you’ve already preordered the ebook (or got the print book) prior to this blog post obviously the offer is also valid. Just fill in the contact form with a receipt of your purchase (NB: please remove all identify details such as physical address etc. from your receipt!) and send it on! Just a quick note that my Dominion of the Fallen story “Court of Birth, Court of Strength” is now up at Beneath Ceaseless Skies. In the ruins of a Gothic Paris, a city devastated in the wake of a magical war, a young and sheltered Fallen angel goes to an older one for help in finding a missing child. The leader of House Hawthorn’s Court of Birth lived in a part of the House that Samariel had never been to: a wing of dusty, disused corridors where the wainscoting had rotted away and the wallpaper’s elegant asphodels were obscured by elongated smudges of grey fungus. The door was small and crooked. Samariel would have thought it the entrance to a garret, but it opened into a wide, airy space with barely a trace of mould or spells gone awry. A makeshift antechamber held two Louis XV armchairs with plump, curved mahogany legs, and behind it was the shape of a four-poster bed that had seen better days, its silk canopy patched so many times the patterns on it had all but disappeared under the seams of repairs. Once upon a time, I wrote a book. I was exhausted, dealing with health issues and a bunch of kids-related anxiety–and writing had just stopped being fun. I could tell I was flirting with burnout, because I’d had it before in other settings. I could tell I was going to crash and that it wasn’t going to be pretty when it did happen. But also, stopping writing would have been about as easy as stopping to breathe. So I decided to write something just for me. 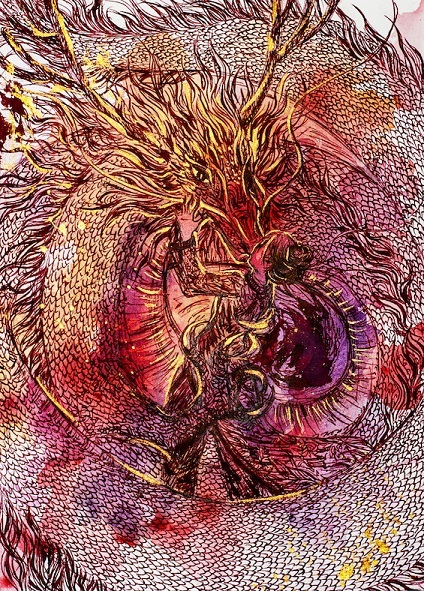 A book that I’d feel like sinking into for pleasure: a queer retelling of Beauty and the Beast, except in a setting inspired by Vietnamese folklore–drawing from all those stories my mother and grandmother told me, the ones with scholar-magicians and dragons and kỳ lân and rooster spirits, where words had the weight of magic. Something fun and frothy and feelgood. Obviously I don’t do fun and frothy very well, because I seem to have ended up with a postcolonial, postapocalyptic Beauty and the Beast, where both are women and the Beast is a dragon (because dragons, and because f/f relationships in SFF need more happy endings! ), and where spirits and humans alike are struggling to survive in a world ruined by their former masters. And it wasn’t always feelgood to write: in fact, it was downright uncomfortable, because it ended up being such a weighty and personal story, because I drew on so much that meant so much to me. But it was important. It mattered to me. And that helped me claw my way out of the hole. It helped me find joy and meaning in writing again. It also ended up being a decidedly awkward length (novel-length but too short for fantasy novel publishers). So I had to make a decision: I could stick it in a drawer for the time being, or I could try self-publishing it. I’d self-published books before but never an original, so the idea of doing self-publishing with this seemed like a super scary experience. A bit like putting out a raw bleeding piece of my heart out there without the backing of traditional publishing. I went the scary way. Without further ado I’m very happy to reveal the cover and to open preorders for In the Vanishers’ Palace, which is coming out October 16th from all major retailers. Scroll down for more info! Cover art by Kelsey Liggett, cover design by Rhiannon Rasmussen-Silverstein and Melanie Ujimori. Publication date: October 16th from JABberwocky ebooks. 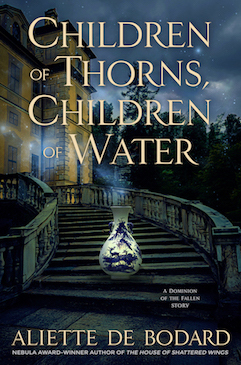 From the award-winning author of the Dominion of the Fallen series comes a dark retelling of Beauty and the Beast. A woman, betrayed, terrified, sold into indenture to pay her village’s debts and struggling to survive in a spirit world. A dragon, among the last of her kind, cold and aloof but desperately trying to make a difference. When failed scholar Yên is sold to Vu Côn, one of the last dragons walking the earth, she expects to be tortured or killed for Vu Côn’s amusement. I would love if you preordered this: as I said, this is new and a bit scary for me, and self-publishing obviously means I’m bearing the costs I incurred for making a book (cover art, copyediting, etc.). Thank you so much! We talked classics and rewriting them–check this out here as well as the extra material at the Booksmugglers cooking extension! And you may get Jeannette’s book here: Amazon UK | Amazon US | Book Depository | Angry Robot. In addition to Jeanette’s brownie recipe below, she also answered two reader questions from twitter – those of Joseph Brassey and Tade Thompson. a shoutout to Emma Newman’s Split Worlds series and the Split Worlds Ball. Visit additional Cooking the Books content over on the The Booksmugglers! So, a lot of general writing advice presupposes that one wants to write an airport novel, something thrilling, relatively easy to digest and brisk to read. The aversion to exposition and filter words are rooted in that. And if one wants to write in that style, the advice can be incredibly useful, but if one is attempting something a bit more folkloric, it can be incredibly unhelpful as it pulls you in a different direction. A lot of sff writing advice is rooted in the preferences of John W Campbell, who is both an awful person and also spearheaded the golden age of science fiction with his very specific tastes. Many things we take for granted in the genre aren’t mandates from above, they are relics from their creation. The definition of “hard scifi” revolving mostly around physics and chemistry, for example, is rooted in Campbell’s preferences. He just didn’t think much of biology, geography or even the social sciences, thus he didn’t consider them important when recreating a science fiction that was scientific. And to me, knowing all of this helps me challenge the norms of genre writing, because these conventions are not written in stone and passed down to us from time immemorial. It makes the defiance feel smaller. It also helps to read the myriad exceptions to these rules, many of which are themselves are revered classics. Though even more are forgotten and erased. But of course the question remains what best serves the story one is trying to tell and that is always the trickiest to answer. It may indeed fit well into the beats of a plot-heavy thriller riddled with cliffhangers. It may be best told as a deep dive into the mindset of a single character or sprawled across multiple voices. Everyone has their preferences both as a reader and as a writer (some people hate reading present tense, for example, others find first person uncomfortable), but those preferences are just that. I confess not to be the biggest fan of the fruit raw. It was a deeply divisive fruit in my household when I was younger and my mother would always bring up how she had triumphantly converted my father, a longtime hater of the fruit, to the cause. How he had went from buying a fruit he doesn’t eat for her out of love to hoarding it all for himself. Being my stubborn self, I refused to be swayed. Reminiscences aside, I’m quite partial to it in cake of various sorts. Especially the pancake rolls that Honeymoon Dessert in Hong Kong do with them, all bundled with squirty cream. Recipe preamble: This recipe is built around the idea that I want as little leftover ingredients as possible as I used to cook it in a shared kitchen at boarding school. I usually double it and thus use all of a 500g bag of sugar and half a dozen eggs. Sadly butter comes in 250g pats, which was a perpetual source of frustration to me and the reason why I started making cookies. Melt 200g of dark chocolate and 200g of butter in non stick saucepan, using the lowest setting of the electric hob. Stir to make sure it doesn’t burn. Take off the heat and allow butter/chocolate mixture to cool. Smash up the remaining chocolate into chunks with gleeful violence and/or catch two minutes of tv in the common room. Some people transfer the butter/chocolate mixture into a mixing bowl, but I am profoundly lazy and thus don’t. Add sugar to butter/chocolate and mix with wooden spoon. Add eggs and mix into the mixture one at a time. Fold in the flour in a sort of figure-of-eight motion. Pour into buttered tin, stud the chocolate chunks into the brownie mixture and bake at 180C for 25-30mins until crispy on the outside and toothpick comes out clean. Jeannette Ng is originally from Hong Kong but now lives in Durham, UK. Her MA in Medieval and Renaissance Studies fed into an interest in medieval and missionary theology, which in turn spawned her love for writing gothic fantasy with a theological twist. She runs live roleplay games and is active within the costuming community, running a popular blog. 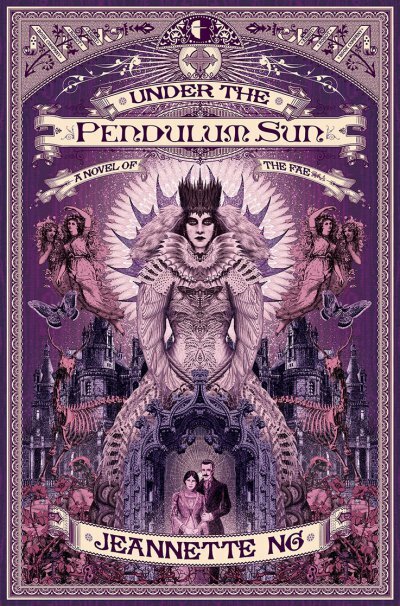 Jeannette has been nominated for the John W Campbell Award for Best New Writer for her novel Under the Pendulum Sun. Cooking the Books is a mostly-monthly podcast hosted by Fran Wilde and Aliette de Bodard. Next week I’ll be attending Nine Worlds in London Hammersmith–come hang out! I’ve posted my schedule here. So once upon a time I needed a fun break, and I wrote a story about how Asmodeus and Samariel first met and flirted with each other (if you’re asking how, the answer is “smouldering mode on”). Because apparently I cannot do fun even if I try, this is a story of what happens when Samariel, a low-ranked bodyguard in House Hawthorn, hires Asmodeus when the child he considers his own gets kidnapped, and how the two of them handle a Gothic, devastated Paris rife with intrigue to get said child back (“how does it go?” you ask. If you already know Asmodeus, the answer is “about as well as you can imagine”). Anyway, I’m pleased to announce I’ve sold the story to Scott Andrews at Beneath Ceaseless Skies for their ten-year-anniversary issue, and that it’ll appear in late September online.